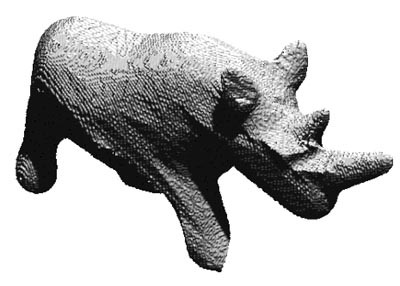 This paper presents an algorithm for voxel-based reconstruction of objects with general reflectance properties from multiple calibrated views. It is assumed that one or more reference objects with known geometry are imaged under the same lighting and camera conditions as the object being reconstructed. The unknown object is reconstructed using a radiance basis inferred from the reference objects. Each view may have arbitrary, unknown distant lighting. If the lighting is calibrated, our model also takes into account shadows that the object casts upon itself. To our knowledge, this is the first stereo method to handle general, unknown, spatially-varying BRDFs under possibly varying, distant lighting, and shadows. We demonstrate our algorithm by recovering geometry and surface normals for objects with both uniform and spatially-varying BRDFs. The normals reveal fine-scale surface detail, allowing much richer renderings than the voxel geometry alone. Adrien Treuille, Aaron Hertzmann, Steve Seitz (2004). Example-Based Stereo with General BRDFs. 8th European Conference on Computer Vision (ECCV 2002).